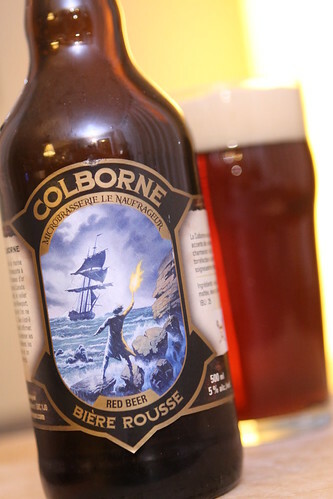 Much of the beer-brewing art on Quebec bottles seems to fall into three categories: 1.) odd, white-trashy stuff that looks like it would be artwork hung on the wall of a biker bar, 2.) biblical references to the end of the world, 3.) oddly epic imagery. The beer itself was quite good. It had a nice bitterness but not so much from hops as from the roasted malt. It almost had the quality of the cooked tomato at the bottom of a pot of marinara sauce. I must say, the Quebecois are exceptionally good at making full-bodied, flavorful beers at relatively low ABV. This is one area where Canadian microbreweries are outpacing American craft breweries' continued search for higher alcohol content. Today I had the day off to try to do as much cleaning, chores, and preparation for the weekend as possible. Around noon I got the dreaded call from day care. I was already cursing as I saw the number show up on my phone. You never get a mid day call with good news. "Oh, hey, just wanted to tell you that Martin took a great nap!" or "We've been discussing this and we'd like to knock $1,000 a month off your bill because your babies are just so cute!" or "By the way, Elliott's pooping has been particularly normal today." Instead I was informed that they suspected Martin had conjunctivitis. This meant mostly a nightmare of formalities for the day. In order to get them to accept him back in day care I'd need our doctor to clear him. I was able to get a late afternoon appointment. Until then I needed to pick Martin up from day care. I chose to leave Elliott there in order to make things easier at the doctor. 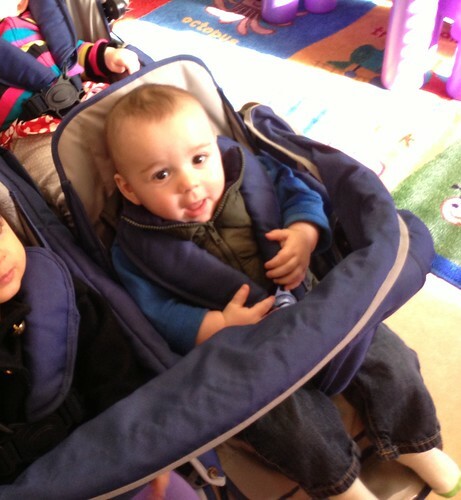 Lugging two babies to the doctor's office is not a fun chore. 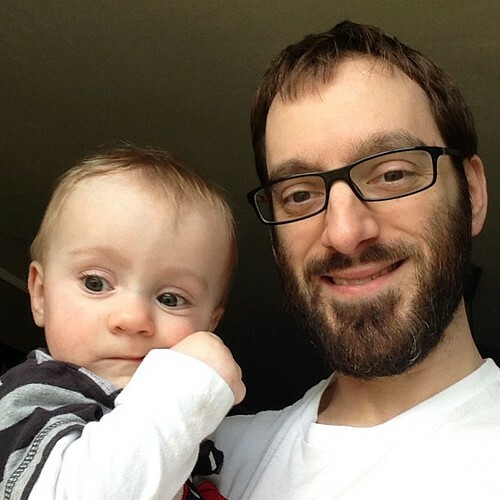 I have to say, an afternoon with one baby -- even a sick one -- reinforced something I've believed for a long time. Having one baby is so easy! 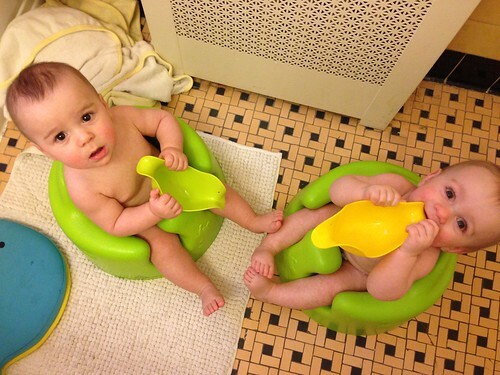 There are so many things that are made impossibly easy by only caring for one baby. Don't get me wrong, I love both my sons but getting these brief taste has of caring for just one sick baby has left me envious of the carefree, joyful existence of the parents of the single baby. There's just one of them! Singleton parents have it made and they don't even know or appreciate it! This life luxury is wasted on them! Everyone should be forced to care for two babies for at least six months so that when they take the extra baby to their real parents the parents can really enjoy the ease of single baby care. We need legislation for this. It just may be tricky because it seems like it may involve a lot of baby-stealing. I'm still working those details out. After the doctor's appointment, where the doctor rolled her eyes and gave Martin some unnecessary eye drops so that we could get him back in day care, I returned to pick up Elliott. I kind of spoiled the party because they were getting ready to take all the babies out for a nice walk since it was nice outside. Elliott was excited, kicking his feet, and sitting up front in the giant stroller. Then along came daddy to pluck him out of the stroller and take him home. 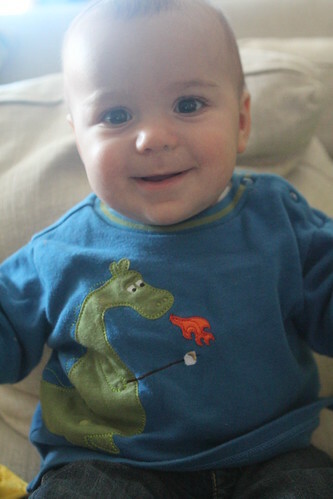 Elliott had to have been the coolest kid at day care with his dragon shirt on. I'm just upset they don't make it in an adult size. At home we had some steam time for their congested, snotty little noses followed by a bath, then a huge pre-sleep screaming battle. Then Jen got home to help finish them off. It was a bit like the Americans rolling into Berlin but I was so beaten up and tired that I was quite happy to have the help, even to round up a few measly, shoeless Nazis. Okay, this analogy has broken down somewhat. Moving along. For beer I poured this La Blonde Parfaite from La Gueule de Bois. You guessed it, another Quebec beer. This was a unique Belgian-style beer with a very pronounced earthy quality to it. Saying that it tastes like dirt is probably not fairly describing the enjoyment level of this beer. It was a good beer. But it did also taste like dirt. 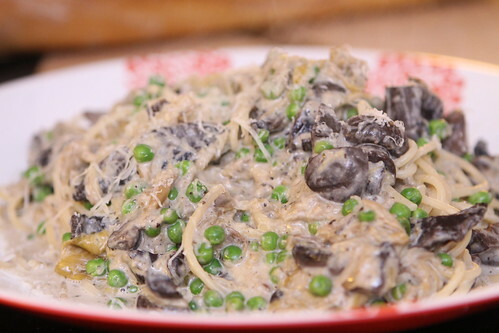 For dinner I threw together this pasta by segregating out the mushrooms and leeks from the lamb dish the other night, adding some milk and cream, then tossing in spaghetti and fresh peas, toping it with Parmigiano-Reggiano. The result was a very rich and filling pasta that took about ten minutes to make. After the wrestling match with two sick babies it felt like a two beer night. 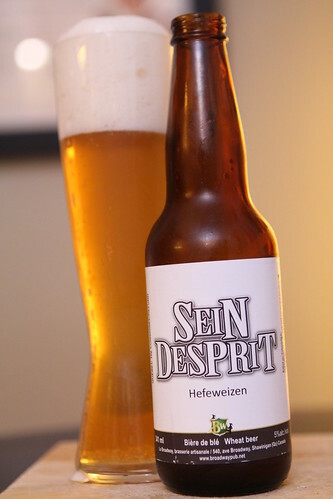 I opened this Sein Desprit from Broadway Pub, an extremely creamy hefeweizen from Quebec. On nights like this we barely have the energy left after dinner to watch shows on Hulu. Particularly after cleaning all the dishes, washing the baby's bottles, preparing the baby food for the next day, sweeping the Mum-Mum and puff debris off the floor, and (if we're lucky) taking showers for ourselves. When we do get the energy to watch shows it is rare that I can last through the whole show. Still, I've seen the first eleven minutes of some pretty good episodes of The Mindy Project. "had the quality of the cooked tomato at the bottom of a pot of marinara sauce"
Well you're safe from that flavor with a Miller High Life. In fact, you're safe from any flavor at all!